Alamo City Constructors, San Antonio, Texas, (FA3089-13-D-0002) and JSR Inc., Schertz, Texas, (FA3089-13-D-0003), are being awarded a $75,000,000 multiple award construction contract for general construction category to include maintenance, repair, alteration, mechanical, electrical, heating/air conditioning, demolition, painting, paving and earthwork. The location of the performance is Randolph Air Force Base, Texas. Work is expected to be completed by January 2018. The contracting activity is 902 CONS/LGCA, Randolph Air Force Base, Texas. United Support Solutions Inc., Cedar Grove, N.J., was awarded a $37,414,366 firm-fixed-price contract. The award will provide for the procurement of components for the recapitalization of the Mobile Kitchen Tactical. Work will be performed in Cedar Grove, with an estimated completion date of March 15, 2017. The bid was solicited through the Internet, with three bids received. The U.S. Army Contracting Command, Chambersburg, Pa., is the contracting activity (W911N2-13-D-0004). Gideon Services Inc., Huntsville, Ala., was awarded a $20,892,720 firm-fixed-price contract. The award will provide for the procurement of sets of commercial parts for the Mine Resistant Ambush Protected Capability Set 13 program. Work location will be determined with each order, with an estimated completion date of Jan. 3, 2014. The bid was solicited through the Internet, with three bids received. The U.S. Army Contracting Command, Warren, Mich., is the contracting activity (W56HZV-13-D-0044). Knox County Association for Retarded Citizens, Vincennes, Ind., was awarded a $15,033,700 firm-fixed-price contract. The award will provide for the procurement of 155mm wood pallets for the M795. Work will be performed in Vincennes, with an estimated completion date of Dec. 21, 2013. One bid was solicited, with one bid received. The U.S. Army Contracting Command, Rock Island, Ill., is the contracting activity (W52P1J-13-F-0005). PAC COMM Inc., Miami, Fla., was awarded a $9,742,387 firm-fixed-price contract. The award will provide for the construction of a retaining wall in support of flood control services. Work will be performed in Manatee County, Fla., with an estimated completion date of March 29, 2014. The bid was solicited through the Internet, with six bids received. The U.S. Army Corps of Engineers, Jacksonville, Fla., is the contracting activity (W912EP-13-C-0009). Savantage Financial Services Inc., Rockville, Md., was awarded a $9,500,000 time-and-material contract. The award will provide for the modification of an existing contract to extend support services to Program Manager for Installation Information Infrastructure Modernization Program for an additional six months. Work will be performed in Fort Belvoir, Va., and Korea, with an estimated completion date of July 29, 2013. Five bids were solicited, with five bids received. The U.S. Army Contracting Command, Alexandria, Va., is the contracting activity (W91QUZ-08-D-0006). Turner Strategic Technologies, Virginia Beach, Va., was awarded an $8,195,202 firm-fixed-price contract. The award will provide for the construction of an Operations Training Complex, Dining Facility at Fort Hood, Texas. Work will be performed in Fort Hood, with an estimated completion date of Oct. 15, 2014. The bid was solicited through the Internet, with 10 bids received. The U.S. Army Corps of Engineers, Norfolk, Va., is the contracting activity (W91236-13-C-0017). Northrop Grumman Space and Mission Systems, Network Communication Systems, San Diego, Calif., is being awarded a $14,098,840 modification to exercise an option under previously awarded firm-fixed-price contract (N00024-09-C-6317), for all material and services to support system development and demonstration phase through preliminary design review for the Joint Counter Radio-Controlled Improvised Explosive Device (RCIED) Electronic Warfare (JCREW) 3.3 System of Systems. Funds in the amount of $14,098,840 will be obligated at time of award. Contract funds will not expire at the end of the current fiscal year. Work will be performed in San Diego, Calif., (95 percent) and Sierra Vista, Ariz., (5 percent), and is expected to be completed by January 2014. Naval Sea Systems Command, Washington, D.C., is the contracting activity. Management and Engineering Technologies International, Inc.*, El Paso, Texas, is being awarded a $13,922,490 modification to a previously awarded cost-plus-fixed-fee contract (N68936-09-C-0137), to exercise an option for test and evaluation, and maintenance and operations services, in support of the Naval Air Warfare Center Weapons Division (NAWCWD), Weapons Survivability Laboratory. Contract funds in the amount of $4,984,521 are being obligated on this award and will not expire at the end of the current fiscal year. Work will be performed at NAWCWD in China Lake, Calif., and is expected to be completed in January 2015. The Naval Air Warfare Center Weapons Division, China Lake, Calif., is the contracting activity. GE Aviation, Vandalia, Ohio, was awarded contract SPM4A1-09-G-0003 THE2. The award is a firm-fixed-price, sole-source contract with a maximum $12,450,000 for generator control units. Location of performance is in Ohio, with a Feb. 28, 2016 performance completion date. Using military service is Navy. There was one solicitation with one response. Type of appropriation is fiscal 2012 Navy Working Capital funds. The contracting activity is the Defense Logistics Agency Aviation, Philadelphia, Pa. Team National Maintenance Inc., Anchorage, Alaska, (FA8052-13-D-0001); Makro Services Inc., Gaithersburg, Md., (FA8052-13-D-002); Titan Facility Services L.L.C., Gilbert, Ariz., (FA8052-13-D-0004); Integrity Management Inc., Nipomo, Calif., (FA8052-13-D-0005); Main Building Maintenance Inc., San Antonio, Texas, (FA8052-13-D-0006); Zero Waste Solutions, Newark, Calif., (FA8052-13-D-0007); Kentucky Building Maintenance, Batavia, Ohio, (FA8052-13-D-0008), and Hughes Group doing business as Dia-mo Clean, Tacoma, Wash., (FA8052-13-D-0009), are each being awarded a modification to raise the contract ceiling to $250,000,000 for a firm-fixed-price, multiple award, indefinite-delivery, indefinite-quantity contract for Hospital Aseptic Management Services. The locations of the performance is Altus Air Force Base (AFB), Okla.; Joint Base Andrews, Md. ; Barksdale AFB, La. ; Beale AFB, Calif.; Cannon AFB, N.M.; Charleston AFB, S.C.; Davis Monthan AFB, Ariz.; Dover AFB, Del. ; Dyess AFB, Texas; Edwards AFB, Calif.; Eglin AFB, Fla.; Ellsworth AFB, S.D. ; Joint Base Elmendorf-Richardson, Alaska. ; Fairchild AFB, Wash.; F.E. Warren AFB, Wyo. ; Goodfellow AFB, Texas; Grand Forks AFB, N.D.; Hill AFB, Utah; Holloman AFB, N.M.; Hurlburt Field, Fla.; Keesler AFB, Miss. ; Kirtland AFB, N.M.; Joint Base Langley-Eustis, Va.; Little Rock AFB, Ark. ; Los Angeles AFB, Calif.; Luke AFB, Ariz.; MacDill AFB, Fla.; Malmstrom AFB, Mont. ; McConnell AFB, Kan.; Minot AFB, N.D.; Moody AFB, Ga.; Mountain Home AFB, Idaho; Nellis AFB, Nev.; Offutt AFB, Neb. ; Patrick AFB, Fla.; San Antonio, Texas; Scott AFB, Ill.; Seymour Johnson AFB, N.C.; Shaw AFB, S.C.; Sheppard AFB, Texas; Tinker AFB, Okla.; Robins AFB, Ga.; Vance AFB, Okla.; Vandenberg AFB, Calif.; Whiteman AFB, Mo. ; Wright-Patterson AFB, Ohio; Tyndall AFB, Fla. and Peterson AFB, Colo. Work is expected to be completed by March 30, 2019. The contracting activity is 773 Enterprise Sourcing Group, San Antonio, Texas. BAE Systems Norfolk Ship Repair, Norfolk, Va., is being awarded an $80,647,084 undefinitized contract modification to a previously awarded cost-plus-incentive-fee contract (N00024-11-C-4407) for the planning and execution of depot-level maintenance, alterations, and modifications that will update and improve the ship’s military and technical capabilities for the USS Iwo Jima (LHD 7) fiscal 2013. Contract funds in the amount of $60,000,000 will be obligated at time of award and will expire at the end of the current fiscal year. Work will be performed in Norfolk, Va., and is expected to be completed by October 2013. Norfolk Ship Support Activity, Norfolk, Va., is the contracting activity. CACI Technologies Inc., Chantilly, Va., is being awarded a $20,624,004 cost-plus-fixed-fee contract for professional support services in support of Program Executive Office Littoral Combat Ships. Funds in the amount of $20,624,004 will be obligated at time of contract award. Contract funds in the amount of $4,381,318 will expire at the end of the current fiscal year. Work will be performed in Washington D.C., (89.9 percent); Norfolk, Va., (4.2 percent); San Diego, Calif., (2.2 percent); Panama City, Fla., (1.8 percent); Newport, R.I., (1.3 percent); and Monterey, Calif., (0.6 percent), and is expected to be complete by April 2013. This contract was not competitively procured source in accordance with 10 U.S.C. 2304(c)(1), as implemented in FAR 6.302-1. The Naval Sea Systems Command, Washington, D.C., is the contracting activity (N00024-13-C-6322). General Dynamics Advanced Information Systems, Minneapolis, Minn., is being awarded a $19,189,504 modification to a previously awarded firm-fixed-price contract (N00019-10-C-0014), to exercise an option for 76 forward fit Type 3 advanced mission computers for the F/A-18E/F and E/A-18G aircraft. Contract funds in the amount of $19,189,504 are being obligated at the time of award and will not expire at the end of the current fiscal year. Work will be performed in Bloomington, Minn. (80 percent) and Albuquerque, N.M. (20 percent), and is expected to be completed in December 2014. Naval Air Systems Command, Patuxent River, Md., is the contracting activity. Marvin Engineering Co., Inglewood, Calif., is being awarded a $15,000,000 firm-fixed-price, indefinite-delivery/indefinite-quantity contract for the BRU-14 ejector rack assembly and engineering services. Funds in the amount of $3,643,351 will be obligated at time of contract award. Contract funds in the amount of $66,911 will expire at the end of the current fiscal year. Work will be performed in Inglewood, Calif., and is expected to be completed by January 2018. This contract was not competitively procured in accordance with 10 U.S.C. 2304(c)(1), as implemented in FAR 6.302-1. Naval Surface Warfare Center, Crane Division, Crane, Ind., is the contracting activity (N00164-13-D-JN27). Lockheed Martin Corp., Mission Systems and Sensors, Manassas, Va., is being awarded a $13,278,778 modification to existing cost-plus-incentive-fee contract (N00024-11-C-6294) for fiscal 2012 Acoustic Rapid Commercial-Off-The-Shelf Insertion (A-RCI) TI-12 system upgrades. The contract provides funding for the development and production of the A-RCI and common acoustics processing for Technology Insertion 12 (TI-12) through Technology Insertion 14 (TI-14) for the U.S. submarine fleet. Funds in the amount of $13,278,778 will be obligated at time of award. Contract funds will not expire at the end of the current fiscal year. Work will be performed in Manassas, Va. (60 percent), and Clearwater, Fla. (40 percent), and is expected to be completed by January 2014. The Naval Sea Systems Command, Washington, D.C., is the contracting activity. En Pointe Gov Inc., Gardena, Calif., is being awarded a $66,010,907 firm-fixed-price delivery order to procure commercial Microsoft software licenses and software assurance in support of U.S. Special Operations Command. The place of performance is Gardena, Calif., and is expected to be completed by Dec 31, 2015. 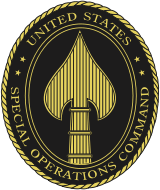 The U.S. Special Operations Command, MacDill Air Force Base, Fla., is the contracting activity (H92222-13-F-0035). R.D. Buie Enterprises Inc., Boerne, Texas*, was issued a modification exercising the second option year on (SPM8E6-10-D-0003/P00007). The modification is a firm-fixed-price contract with a maximum $57,281,344 for tailored logistics support to provide items under the general category of wood products for the East Region. Location of performance is in Texas with a Feb. 4, 2014 performance completion date. Using military services are Army, Navy, Air Force, Marine Corps, and federal civilian agencies. There were sixteen responses to the DLA Internet Bid Board solicitation. Type of appropriation is fiscal 2013 Defense Working Capital funds. The Defense Logistics Agency Troop Support, Philadelphia, Pa., is the contracting activity. Middle Atlantic Wholesale Lumber Inc., Baltimore, Md. *, was issued a modification exercising the second option year on (SPM8E6-10-D-0004/P00005). The modification is a firm-fixed-price contract with a maximum $57,281,344 for tailored logistics support to provide items under the general category of wood products for the East Region. Location of performance is in Maryland, with a Feb. 4, 2014 performance completion date. Using military services are Army, Navy, Air Force, Marine Corps, and federal civilian agencies. There were sixteen responses to the DLA Internet Bid Board solicitation. Type of appropriation is fiscal 2013 Defense Working Capital funds. The Defense Logistics Agency Troop Support, Philadelphia, Pa., is the contracting activity. Sylvan Forest Products Inc., Portland, Ore.*, was issued a modification exercising the second option year on (SPM8E6-10-D-0005/P00005). The modification is a firm-fixed-price contract with a maximum $57,281,344 for tailored logistics support to provide items under the general category of wood products for the East Region. Location of performance is in Oregon with a Feb. 4, 2014 performance completion date. Using military services are Army, Navy, Air Force, Marine Corps, and federal civilian agencies. There were sixteen responses to the DLA Internet Bid Board solicitation. Type of appropriation is fiscal 2013 Defense Working Capital funds. 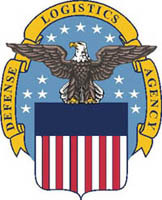 The Defense Logistics Agency Troop Support, Philadelphia, Pa., is the contracting activity. S & S Forest Products L.L.C., Boerne, Texas*, was issued a modification exercising the second option year on (SPM8E6-10-D-0006/P00005). The modification is a firm-fixed-price contract with a maximum $57,281,344 for tailored logistics support to provide items under the general category of wood products for the East Region. Location of performance is in Texas with a Feb. 4, 2014 performance completion date. Using military services are Army, Navy, Air Force, Marine Corps, and federal civilian agencies. There were sixteen responses to the DLA Internet Bid Board solicitation. Type of appropriation is fiscal 2013 Defense Working Capital funds. The contracting activity is the Defense Logistics Agency Troop Support, Philadelphia, Pa.
GE Aviation, Lynn, Mass., was awarded contract (SPRTA1-12-G-0006 Z61Q). The award is a fixed-price with economic-price-adjustment, sole-source contract with a maximum $7,615,342 for turbine engine rotor blades. Location of performance is in Mass., with a Feb. 28, 2015 performance completion date. Using military service is Air Force. There was one solicitation with one response. Type of appropriation is fiscal 2015 Defense Working Capital funds. The Defense Logistics Agency Aviation, Richmond, Va., is the contracting activity. Lockheed Martin Space Systems Co.,Sunnyvale, Calif., (F04701-95-C-0017) is being awarded a $12,972,373 contract modification for Space Based Infrared System high component. The location of the performance is Sunnyvale, Calif. Work is expected to be completed by March 2013. The Air Force Space and Missile Center, Los Angeles Air Force Base, Calif., is the contracting activity. CENTECH Group, Falls Church, Va., (FA8771-04-D-0002-S4CI) is being awarded a $11,274,760 firm-fixed-price indefinite-delivery/indefinite-quanity contract for operaion and maintenance services of base telecommunications systems. The location of the performance is Nellis Air Force Base and Creech Air Force Base, Nev. Work is expected to be completed by Dec. 31, 2013. The 99th Contracting Squadron, Nellis Air Force Base, Nev., is the contracting activity. CSC Applied Technologies L.L.C., Lexington Park, Md., is being awarded a $60,036,297 cost-plus-fixed-fee level of effort contract for range engineering and operations and maintenance services in support of the Naval Air Warfare Center Aircraft Divisions’ Atlantic Test Range and Atlantic Targets and Marine Operations Division. The estimated level of effort is 707,955 man-hours. Work will be performed in Patuxent River, Md., and is expected to be completed in January 2014. Contract funds in the amount of $1,000,000 will be obligated at time of award, none of which will expire at the end of the current fiscal year. This contract was not competitively procured pursuant to 10 U.S.C. 2304(c)(1). The Naval Air Warfare Center Aircraft Division, Patuxent River, Md., is the contracting activity (N00421-13-C-0007). Booze Allen Hamilton Inc., McLean, Va. (N00189-13-D-Z004); Science Applications International Corp., McLean, Va. (N00189-13-D-Z005); URS Group Inc., Washington, D.C. (N00189-13-D-Z006), and Whitney, Bradley, and Brown Inc., Reston, Va. (N00189-13-D-Z007), are each being awarded a cost-plus-fixed-fee, indefinite-delivery/indefinite-quantity, multiple award contract to provide program management, technical environmental compliance, information technology programming and governance, financial and policy analysis, public outreach, and administrative services in support of The Office of the Chief of Naval Operations (OPNAV), Energy and Environmental Readiness Division (N45). These contracts include a base period and one option period. For Booze Allen Hamilton Inc., the base amount is $13,993,386 and the estimated amount if the option is exercised will be $28,695,179. For Science Applications International Corp., the base amount is $14,810,221 and the estimated amount if the option is exercised will be $30,540,941. For URS Group Inc., the base amount is $15,566,983 and the estimated amount if the option is exercised will be $32,230,553. For Whitney, Bradley, and Brown Inc., the base amount is $14,909,914 and the estimated amount if the option is exercised will be $30,110,943. These four contractors will compete for task orders under the terms and conditions of the awarded contract. Work will be performed at the contractor facilities competing for each task order either in McLean, Va., Washington, D.C., Reston, Va. (63 percent) and Arlington, Va. (37 percent), and work is expected to be completed Feb. 14, 2016. If all options are exercised, work will continue through Feb. 14, 2019. 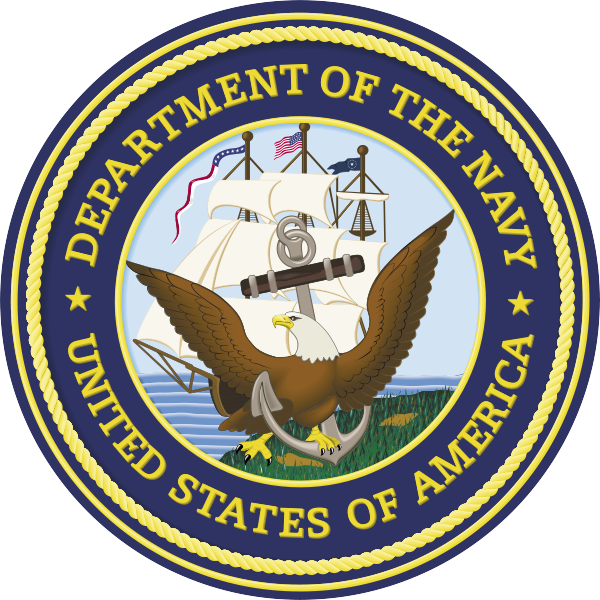 The applicable fiscal 2013 Operations and Maintenance, Navy funds in the amount of $150,000 will be obligated at the time of award and will be equally divided between the contractors and serves as the minimum guarantee. These funds will not expire before the end of the current fiscal year. These contracts are awarded through full and open competition, with five offers received in response to this solicitation. The Naval Supply Systems Command Fleet Logistics Center, Norfolk, Va., contracting department, Philadelphia Office, is the contracting activity. Cajun Constructors Inc., Baton Rouge, La., was awarded a $46,181,916 firm-fixed-price contract. The award will provide for the construction of a concrete covered canal. Work will be performed in New Orleans, La., with an estimated completion date of Jan. 6, 2017. The bid was solicited through the Internet, with seven bids received. The U.S. Army Corps of Engineers, New Orleans, La., is the contracting activity (W912P8-13-C-0009). Promotion Plus Inc., North Royalton, Ohio, was awarded a firm-fixed-price contact with a maximum value of $42,000,000. The award will provide for the procurement of Army combat gloves. Work location will be determined with each order, with an estimated completion date of Jan. 2, 2018. The bid was solicited through the Internet, with eight bids received. The U.S. Army Contracting Command, Natick, Mass., is the contracting activity (W911QY-13-D-0078). General Dynamics Ordnance Systems, Repentigny, Canada, was awarded a $16,000,000 firm-fixed-price contract. The award will provide for the procurement of M1037 5.56mm short range training ammunition. Work location will be determined with each order, with an estimated completion date of Dec. 11, 2017. The bid was solicited through the Internet, with one bid received. The U.S. Army Contracting Command, Picatinny Arsenal, N.J., is the contracting activity (W15QKN-13-D-0021). Thales Raytheon Systems, Fullerton, Calif., was awarded a $14,102,920 firm-fixed-price contract. The award will provide for the contractor support services for the Sentinel radar. Work will be performed in Fullerton, with an estimated completion date of Dec. 31, 2013. One bid was solicited, with one bid received. The U.S. Army Contracting Command, Redstone Arsenal, Ala., is the contracting activity (W31P4Q-13-C-0091). Colt Defense L.L.C., West Hartford, Conn., was awarded a $13,981,350 firm-fixed-price contract. The award will provide for the procurement of the M4 Product Improvement Program replacement barrel and front sight assembly. Work location will be determined with each order, with an estimated completion date of Dec. 30, 2016. The bid was solicited through the Internet, with six bids received. The U.S. Army Contracting Command, Warren, Mich., is the contracting activity (W56HZV-13-D-0040). DRS C3 and Aviation Co., Gaithersburg, Md., was awarded a $13,794,226 firm-fixed-price contract. The award will provide for the infrastructure upgrade and equipment supply services in support of Foreign Military Sales. Work will be performed in Gaithersburg and Jordan, with an estimated completion date of Oct. 18, 2013. The bid was solicited through the Internet, with three bids received. The U.S. Army Contracting Command, Aberdeen Proving Ground, Md., is the contracting activity (W15P7T-13-C-D500). Turner Construction Co., New York, N.Y., was awarded a $13,640,000 firm-fixed-price contract. The award will provide for the construction of a Border Patrol Station in Detroit, Mich. Work will be performed in Detroit, with an estimated completion date of Aug. 28, 2014. The bid was solicited through the Internet, with 22 bids received. The U.S. Army Corps of Engineers, Detroit, Mich., is the contracting activity (W911XK-13-C-0001). SCOLA, McClelland, Iowa, was awarded a $13,335,756 firm-fixed-price contract. The award will provide for the modification of an existing contract to procure foreign language television access and associated foreign media research and language content. Work will be performed in Monterey, Calif., with an estimated completion date of Dec. 25, 2013. The bid was solicited through the Internet, with one bid received. The U.S. Army Contracting Command, Presidio of Monterey, Calif., is the contracting activity (W91LV2-11-C-0009). TYR Tactical, Peoria, Ariz., was awarded a $13,258,343 firm-fixed-price contract. The award will provide for the procurement of fragmentation/shrapnel vests and projectile protection in support of Foreign Military Sales. Work will be performed in Peoria, with an estimated completion date of April 15, 2013. One bid was solicited through the Internet, with one bid received. The U.S. Army Contracting Command, Aberdeen Proving Ground, Md., is the contracting activity (W91CRB-13-C-0010). General Dynamics — C4 Systems Inc., Taunton, Mass., was awarded a $12,778,901 cost-plus-fixed-fee contract. The award will provide for the production and support services of lower tactical Internet data products. Work will be performed in Taiwan, with an estimated completion date of Dec. 28, 2015. One bid was solicited, with one bid received. The U.S. Army Contracting Command, Aberdeen Proving Ground, Md., is the contracting activity (W15P7T-13-C-0011). Lockheed Martin Corp. — Missiles and Fire Control, Grand Prairie, Texas, was awarded a $12,500,000 cost-plus-incentive-fee contract. The award will provide for the establishment of a Patriot Advanced Capability-3/Missile Segment Enhancement Missile Field Test Program. Work will be performed in Grand Prairie, with an estimated completion date of March 31, 2014. The bid was solicited through the Internet, with one bid received. The U.S. Army Contracting Command, Redstone Arsenal, Ala., is the contracting activity (W31P4Q-13-C-0094). Mythics Inc., Virginia Beach, Va., was awarded a $12,312,042 firm-fixed-price contract. The award will provide for the modification of an existing contract for maintenance support services. Work will be performed in Alexandria, Va., with an estimated completion date of Dec. 31, 2013. One bid was solicited, with one bid received. The U.S. Army Contracting Command, Rock Island, Ill., is the contracting activity (W91QUZ-06-A-0003). Johnson Evan and Sons Construction Co., Inc., Jackson, Miss., was awarded an $11,322,000 firm-fixed-price contract. The award will provide for the construction services. Work will be performed in Vicksburg, Miss., with an estimated completion date of Jan. 29, 2014. Six bids were solicited, with six bids received. The U.S. Army Corps of Engineers, Vicksburg, Miss., is the contracting activity (W912EE-13-C-0004). Strategic Resources Inc., McLean, Va., was awarded an $11,320,927 firm-fixed-price contract. The award will provide for the base support services. Work will be performed in Joint Base Lewis-McChord (JBLM), Wash., with an estimated completion date of Dec. 26, 2013. Six bids were solicited, with six bids received. The U.S. Army Contracting Command, Fort Lewis, Wash., is the contracting activity (W9124D-11-C-9000). Oshkosh Corp., Oshkosh, Wis., was awarded a $10,812,006 firm-fixed-price contract. The award will provide for the field service representative to support the M-ATV program. Work will be performed in Oshkosh and Afghanistan, with an estimated completion date of April 30, 2013. One bid was solicited, with one bid received. The U.S. Army Contracting Command, Warren, Mich., is the contracting activity (W56HZV-12-C-0281). Raytheon Co., McKinney, Texas, was awarded a $10,707,828 cost-plus-fixed-fee contract. The award will provide for the modification of an existing contract to procure services for the improved target acquisition systems for the tube launched, optically tracked, wireless guided missile system. Work will be performed in McKinney and Afghanistan, with an estimated completion date of Dec. 5, 2013. One bid was solicited, with one bid received. The U.S. Army Contracting Command, Redstone Arsenal, Ala., is the contracting activity (W31P4Q-07-C-0088). Navistar Defense L.L.C., Lisle, Ill., was awarded a $10,620,634 cost-plus-fixed-fee contract. The award will provide for the modification of an existing contract to procure maintenance services on the Mine Resistant Ambush Protected vehicle. Work will be performed in Lisle; Yuma, Ariz.; Aberdeen, Md; and Afghanistan; with an estimated completion date of March 25, 2013. One bid was solicited, with one bid received. The U.S. Army Contracting Command, Warren, Mich., is the contracting activity (W56HZV-10-C-0011). Hodges Transportation, Silver Springs, Nev., was awarded a $9,500,000 firm-fixed-price level-of-effort contract. The award will provide for the prototype, testing and evaluation services. Work location will be determined with each order, with an estimated completion date of Dec. 25, 2015. The bid was solicited through the Internet, with one bid received. The U.S. Army Contracting Command, Warren, Mich., is the contracting activity (W56HZV-13-D-L001). Yulista Aviation Inc., Anchorage, Alaska, was awarded a $9,000,000 firm-fixed-price contract. The award will provide for the procurement of a Transportable Flight Proficiency Simulator and Lift System in support of Foreign Military Sales. Work will be performed in Huntsville, Ala., with an estimated completion date of June 30, 2014. The bid was solicited through the Internet, with one bid received. The U.S. Army Contracting Command, Redstone Arsenal, Ala., is the contracting activity (W58RGZ-13-C-0030). Exelis Inc., Alexandria, Va., was awarded an $8,972,902 cost-plus-fixed-fee contract. The award will provide for the modification of an existing contract to procure lethality testing services. Work will be performed in Huntsville, Ala., with an estimated completion date of Sept. 30, 2013. The bid was solicited through the Internet, with one bid received. The U.S. Army Space and Missile Defense Command, Huntsville, Ala., is the contracting activity (W9113M-05-C-0219). TSS-Garco Joint Venture, Richland, Wash., was awarded an $8,912,000 firm-fixed-price contract. The award will provide for the construction of a company operations facility on Joint Base Lewis-McChord, Wash. Work will be performed in JBLM, with an estimated completion date of June 30, 2014. The bid was solicited through the Internet, with 12 bids received. The U.S. Army Corps of Engineers, Seattle, Wash., is the contracting activity (W912DW-13-C-0019). Anthony and Gordon Construction Co., Knoxville, Tenn., was awarded an $8,603,000 firm-fixed-price contract. The award will provide for the construction of a tactical equipment maintenance facility and a company operations facility. Work will be performed in San Antonio, Texas, with an estimated completion date of July 5, 2014. The bid was solicited through the Internet, with 12 bids received. The U.S. Army Corps of Engineers, Fort Worth, Texas, is the contracting activity (W9126G-13-C-0005). ABB Inc., St. Laurent, Quebec, Canada, was awarded a $7,680,210 firm-fixed-price contract. The award will provide for the delivery of digital static excitation systems. Work will be performed in Bridgeport, Wash., with an estimated completion date of April 15, 2015. The bid was solicited through the Internet, with four bids received. The U.S. Army Corps of Engineers, Seattle, Wash., is the contracting activity (W912DW-13-C-0017). DRS Test and Energy Management L.L.C., Huntsville, Ala., was awarded a $7,569,343 cost-plus-fixed-fee contract. The award will provide for the modification of an existing contract to support the upgrade of direct support electrical test sets. Work will be performed in Huntsville, with an estimated completion date of Dec. 10, 2014. One bid was solicited, with one bid received. The U.S. Army Contracting Command, Warren, Mich., is the contracting activity (W52H09-06-G-0001). Alliant Techsystems Operations, Plymouth, Minn., was awarded a $7,563,969 firm-fixed-price contract. The award will provide for the modification of an existing contract to procure precision guidance kits. Work will be completed in Plymouth, with an estimated completion date of Dec. 27, 2013. One bid was solicited, with one bid received. The U.S. Army Contracting Command, Picatinny Arsenal, N.J., is the contracting activity (W15QKN-06-C-0130). Data Networks Inc., Reston, Va., was awarded a $7,539,009 cost-plus-award-fee contract. The award will provide for the design, development and sustainment of the Medical Situational Awareness in Theater and the Theater Medical Data Store. Work will be performed in Reston, with an estimated completion date of Dec. 18, 2013. The bid was solicited through the Internet, with two bids received. The U.S. Army Medical Research Acquisition Activity, Frederick, Md., is the contracting activity (W81XWH-12-F-0335). BAE Systems Land and Armaments L.P., York, Pa., was awarded a $7,508,199 firm-fixed-price contract. The award will provide for the procurement of fire support sensor system modification kits. Work will be performed in York, with an estimated completion date of July 31, 2013. One bid was solicited, with one bid received. The U.S. Army Contracting Command, Warren, Mich., is the contracting activity (W56HZV-13-C-0103). Data Solutions and Technology Inc., Lanham, Md., was awarded a $7,417,838 firm-fixed-price contract. The award will provide for the modification of an existing contract procure vehicle operations and vehicle control services. Work will be performed in Fort Polk, La., with an estimated completion date of Dec. 31, 2013. Eighteen bids were solicited, with 14 bids received. The U.S. Army Contracting Command, Fort Polk, La., is the contracting activity (W911SE-07-D-0036). Thales Raytheon Systems Co., L.L.C., Fullerton, Calif., was awarded a $7,295,000 firm-fixed-price contract. The award will provide for the procurement of Sentinel Mode 5 kits and spares. Work will be performed in Fullerton, with an estimated completion date of Dec. 31, 2015. One bid was solicited, with one bid received. The U.S. Army Contracting Command, Redstone Arsenal, Ala., is the contracting activity (W31P4Q-13-C-0082). BAE Systems Inc., Nashua, N.H., was awarded a $7,070,000 firm-fixed-price contract. The award will provide for the modification of an existing contract to procure Laser Target Locator Modules. Work will be performed in Nashua, with an estimated completion date of Feb. 17, 2014. Two bids were solicited, with one bid received. The U.S. Army Contracting Command, Aberdeen Proving Ground, Md., is the contracting activity (W91CRB-09-D-0029). Robertson Aviation, Tempe, Ariz., was awarded a $6,945,000 firm-fixed-price contract. The award will provide for the procurement of Mi-17 internal auxiliary fuel tank systems. Work location will be determined with each order, with an estimated completion date of Dec. 31, 2015. One bid was solicited, with one bid received. The U.S. Army Contracting Command, Fort Eustis, Va., is the contracting activity (W911W6-13-D-0002). Oracle America Inc., Reston, Va., was awarded a $6,895,405 firm-fixed-price contract. The award will provide for the modification of an existing contract to procure software license renewals and maintenance for Army, Navy and Air Force. Work will be performed in Reston, with an estimated completion date of Dec. 20, 2013. The bid was solicited through the Internet, with three bids received. The U.S. Army Contracting Command, Picatinny Arsenal, N.J., is the contracting activity (N00024-01-C-6110). Esterline Defense Products, Coachella, Calif., was awarded a $6,637,866 firm-fixed-price contract. The award will provide for the modification of an existing contract to procure M231/M232A1 Combustible Case Assemblies. Work will be performed in Coachella, with an estimated completion date of April 30, 2015. One bid was solicited, with one bid received. The U.S. Army Contracting Command, Picatinny Arsenal, N.J., is the contracting activity (W15QKN-08-C-0437). FedCon/South Bay Joint Venture, San Antonio, Texas, (FA3089-13-D-0001) is being awarded a $75,000,000 multiple award construction contract for general construction category to include maintenance, repair, alteration, mechanical, electrical, heating/air conditioning, demolition, painting, paving and earthwork. The location of the performance is Randolph Air Force Base, Texas. Work is expected to be completed by Jan 4, 2018. The contracting activity is 902 CONS/LGCA, Randolph Air Force Base, Texas. Analytical Services Inc., Huntsville, Ala., (W9113M-13-D-0001); COLSA Corp., Huntsville, Ala., (W9113M-13-D-0002); Engineering Research and Consulting Inc., Huntsville, Ala., (W9113M-13-D-0004); DMD, Huntsville, Ala., (W9113M-13-D-0003); Quantum Research International Inc., Huntsville, Ala., (W9113M-13-D-0005); Radiance Technologies Inc., Huntsville, Ala., (W9113M-13-D-0006); Sigmatech Inc., Huntsville, Ala., (W9113M-13-D-0007); System Studies and Simulation Inc., Huntsville, Ala., (W9113M-13-D-0008); and Warfighter Solutions L.L.C., Huntsville, Ala., (W9113M-13-D-0009); were awarded a $997,000,000 cost-plus-fixed-fee, multiple-award-task-order contract between nine contractors. The award will provide for the systems engineering and technical assistance services in support of the U.S. Army Space and Missile Defense Command. Work location will be determined with each order, with an estimated completion date of Dec. 20, 2017. The bid was solicited through the Internet, with 11 bids received. The U.S. Army Space and Missile Defense Command, Huntsville, Ala., is the contracting activity. Lockheed Martin, Grand Prairie, Texas, was awarded a $755,134,781 firm-fixed-price contract. The award will provide for the procurement of PATRIOT Advanced Capability-3, which includes support for Foreign Military Sales, and related services. Work will be performed in Grand Prairie; Lufkin, Texas; Camden, Ark. ; Chelmsford, Mass. ; and Ocala, Fla.; with an estimated completion date of July 31, 2015. One bid was solicited, with one bid received. The U.S. Army Contracting Command, Redstone Arsenal, Ala., is the contracting activity (W31P4Q-13-C-0068). AeroVironment Inc., Monrovia, Calif., (W911QY-13-D-0073); Altavian, Gainesville, Fla., (W911QY-13-D-0074); Elbit Systems of America LLC, Fort Worth, Texas, (W911QY-13-D-0075); Innovative Automation Technologies LLC, Gainesville, Fla., (W911QY-13-D-0076); and Lockheed Martin Corporation, Owego, N.Y., (W911QY-13-D-0077); were awarded a $248,000,000 firm-fixed-price contract between five contractors. The award will provide for the manufacturing, testing, packaging, marking, storage and shipping services. Work location will be determined with each order, with an estimated completion date of Dec. 20, 2017. The bid was solicited through the Internet, with five bids received. The U.S. Army Contracting Command, Natick, Mass., is the contracting activity. BAE, Wayne, N.J., was awarded a $226,000,000 firm-fixed-price contract. The award will provide for the procurement of components, repairs, maintenance and services in support of the Doppler GPS Navigation Sets. Work will be performed in Wayne, N.J., and Austin, Texas, with an estimated completion date of Dec. 1, 2017. The bid was solicited through the Internet, with one bid received. The U.S. Army Contracting Command, Fort Monmouth, N.J., is the contracting activity (W15P7T-13-D-E013). Day and Zimmerman Lone Star L.L.C., Camden, Ark., (W52P1J-13-D-0013); American Ordnance LLC, Middletown, Iowa, (W52P1J-13-D-0014); and General Dynamics Ordnance and Tactical Systems, Marion, Ill., (W52P1J-13-D-0015); were awarded a $209,400,000 firm-fixed-price contract between three contractors. The award will provide for the procurement of 60mm, 81mm and 120mm Load Assemble Pack Propelling Charges and Complete Inert Models. Work location will be determined with each order, with an estimated completion date of Dec. 21, 2017. The bid was solicited through the Internet, with five bids received. The U.S. Army Contracting Command, Rock Island, Ill., is the contracting activity. Lockheed Martin Corp., Grand Prairie, Texas, was awarded a $197,604,608 firm-fixed-price contract. The award will provide for the modification of existing contract to procure Guided Multiple Launch Rocket System unitary rockets. Work will be performed in Grand Prairie; Lufkin, Texas; Camden, Ark. ; and Ocala, Fla.; with an estimated completion date of May 31, 2015. The bid was solicited through the Internet, with one bid received. The U.S. Army Contracting Command, Redstone Arsenal, Ala., is the contracting activity (W31P4Q-12-C-0151). Oshkosh Corp., Oshkosh, Wis., was awarded a $194,911,914 firm-fixed-price contract. The award will provide for the modification of an existing contract to procure Family of Medium Tactical Vehicles. Work will be performed in Oshkosh, with an estimated completion date of Sept. 30, 2014. The bid was solicited through the Internet, with three bids received. The U.S. Army Contracting Command, Warren, Mich., is the contracting activity (W56HZV-09-D-0159). Atlantic CommTech Corp., Norfolk, Va., (W912DY-13-D-0012); Evergreen Fire and Security, Tacoma, Wash., (W912DY-13-D-0013); Infotec Systems Corporation, Summerville, S.C., (W912DY-13-D-0014); Integrated Security Solutions, Kalispell, Mont., (W912DY-13-D-0015); and LVW Electronics, Colorado Springs, Colo., (W912DY-13-D-0016); were awarded a $160,000,000 firm-fixed-price contract between five contractors. The award will provide for the services in support of various access control point systems and other related systems. Work location will be determined with each order, with an estimated completion date of Dec. 27, 2017. The bid was solicited through the Internet, with seven bids received. The U.S. Army Corps of Engineers, Huntsville, Ala., is the contracting activity. General Electric, Cincinnati, Ohio, was awarded a $138,270,542 firm-fixed-price contract. The award will provide for the technical, engineering and logistical services in support of the T700 series turbine engines. Work location will be determined with each order, with an estimated completion date of Dec. 31, 2013. The bid was solicited through the Internet, with one bid received. The U.S. Army Contracting Command, Redstone Arsenal, Ala., is the contracting activity (W58RGZ-12-D-0015). General Dynamic Land Systems, Sterling Heights, Mich., was awarded a $132,713,523 contract. The award will provide for the services in support of M1A2S Abrams Tank production for Foreign Military Sales. Work will be performed in Lima, Ohio, with an estimated completion date of July 31, 2014. One bid was solicited, with one bid received. The U.S. Army Contracting Command, Warren, Mich., is the contracting activity (W56HZV-13-C-0104). SERCO Inc, Reston, Va., (W15QKN-13-D-0001); High Performance Technologies Inc., Reston, Va., (W15QKN-13-D-0002); CACI Technologies Inc., Chantilly, Va., (W15QKN-13-D-0003); Universal Technical Resource Services Inc., Cherry Hill, N.J., (W15QKN-13-D-0004); DCS Corporation, Alexandria, Va., (W15QKN-13-D-0005); EOIR Technologies Inc., Forest Hill, Md., (W15QKN-13-D-0006); Wise Web Connections LLC, Dover, N.J., (W15QKN-13-D-0007); and Nexagen Networks Inc., Marlboro, N.J., (W15QKN-13-D-0008); were awarded a $74,000,000 firm-fixed-price contract between eight contractors. The award will provide for the engineering services in support of the Armament Software Engineering Center. Work location will be determined with each order, with an estimated completion date of Aug. 21, 2017. The bid was solicited through the Internet, with nine bids received. The U.S. Army Contracting Command, Picatinny Arsenal, N.J., is the contracting activity. Raytheon Co., Andover, Mass., was awarded a $72,600,000 firm-fixed-price contract. The award will provide for the modification of an existing contract to procure PATRIOT 3 Lot Spares in support of Foreign Military Sales. Work will be performed in Andover, Mass., and El Paso, Texas, with an estimated completion date of Nov. 30, 2015. One bid was solicited, with one bid received. The U.S. Army Contracting Command, Redstone Arsenal, Ala., is the contracting activity (W31P4Q-09-G-0002). The Boeing Co., Mesa, Ariz., was awarded a $71,026,920 firm-fixed-price contract. The award will provide for the modification of an existing contract to procure Apache AH-64D helicopters in support of Foreign Military Sales. Work will be performed in Mesa, with an estimated completion date of Oct. 31, 2017. One bid was solicited, with one bid received. The U.S. Army Contracting Command, Redstone Arsenal, Ala., is the contracting activity (W58RGZ-09-C-0147). Bay West Inc., St. Paul, Minn., (W912DQ-13-D-3006); EA Engineering, Science and Technology Inc., Hunt Valley, Md., (W912DQ-13-D-3003); FPM Remediations Inc., Rome, N.Y., (W912DQ-13-D-3003); GEO Consultants L.L.C., Kevil, Ky., (W912DQ-13-D-3005); Hydro Geo Logic Inc., Reston, Va., (W912DQ-13-D-3000); and Kemron Environmental Services Inc., Atlanta, Ga., (W912DQ-13-D-3008); were awarded a firm-fixed-price contract between five contractors. Work location will be determined with each order, with an estimated completion date of Dec. 20, 2017. The bid was solicited through the Internet, with 15 bids received. The U.S. Army Corps of Engineers, Kansas City, Mo., is the contracting activity. JLG Industries Inc., McConnellsburg, Pa., was awarded a $56,635,781 firm-fixed-price contract. The award will provide for the modification of an existing contract to procure All-Terrain Lifter Army Systems. Work location will be determined with each order, with an estimated completion date of Dec. 27, 2013. One bid was solicited, with one bid received. The U.S. Army Contracting Command, Warren, Mich., is the contracting activity (W56HZV-07-D-A001). Raytheon Co., Tucson, Ariz., was awarded a $56,554,774 firm-fixed-price contract. The award will provide for the modification of an existing contract to procure M982A1 155mm Precision Engagement Projectiles. Work will be performed in Tucson, Ariz.; McAlester, Okla.; Farmington, N.M.; Camden, Ark. ; Healdsburg, Calif.; Anniston, Ala.; Cincinnati, Ohio; Cedar Rapids, Iowa; Joplin, Mo. ; Lowell, Mass. ; Corona, Calif.; Inglewood, Calif.; Chino, Ill.; Sweden; and United Kingdom; with an estimated completion date of April 30, 2014. One bid was solicited, with one bid received. The U.S. Army Contracting Command, Picatinny Arsenal, N.J., is the contracting activity (W15QKN-08-C-0530). Pocal Industries Inc., Scranton, Pa., was awarded a $49,900,000 firm-fixed-price contract. The award will provide for the procurement of 120 mm M1020 Ignition Cartridges, Inert M1020 Cutaway Model and Inert M1020 Ignition Cartridges. Work location will be determined with each order, with an estimated completion date of Dec. 27, 2019. The bid was solicited through the Internet, with three bids received. The U.S. Army Contracting Command, Picatinny Arsenal, N.J., is the contracting activity (W15QKN-13-D-0018). Oshkosh Corp., Oshkosh, Wis., was awarded a $42,289,271 firm-fixed-price contract. The award will provide for the modification of an existing contract to procure Family of Medium Tactical Vehicles. Work will be performed in Oshkosh, with an estimated completion date of Sept. 30, 2014. The bid was solicited through the Internet, with three bids received. The U.S. Army Contracting Command, Warren, Mich., is the contracting activity (W56HZV-09-D-0159).
. Scranton, Pa., was awarded a $41,530,837 fixed-price economic-price-adjustment contract. The award will provide for the modification of an existing contract to procure M795 Metal Parts. Work will be performed in Scranton, with an estimated completion date of April 30, 2014. The bid was solicited through the Internet, with one bid received. The U.S. Army Contracting Command, Picatinny Arsenal, N.J., is the contracting activity (W15QKN-08-C-0244). The Boeing, Mesa, Ariz., was awarded a $39,600,000 firm-fixed-price contract. The award will provide for the modification of an existing contract to fund the Apache 64D Block III. Work will be performed in Mesa, with an estimated completion date of Sept. 30, 2013. One bid was solicited, with one bid received. The U.S. Army Contracting Command, Redstone Arsenal, Ala., is the contracting activity (W58RGZ-12-C-0055). DRS Tactical Systems Inc., Melbourne, Fla., was awarded a $38,038,700 firm-fixed-price contract. The award will provide for the procurement of the Movement Tracking System and related services. Work will be performed in Melbourne, with an estimated completion date of Jan. 6, 2014. The bid was solicited through the Internet, with one bid received. The U.S. Army Contracting Command, Fort Monmouth, N.J., is the contracting activity (W15P7T-13-F-0007). AAI Corp., Hunt Valley, Md., was awarded a $35,785,761 firm-fixed-price contract. 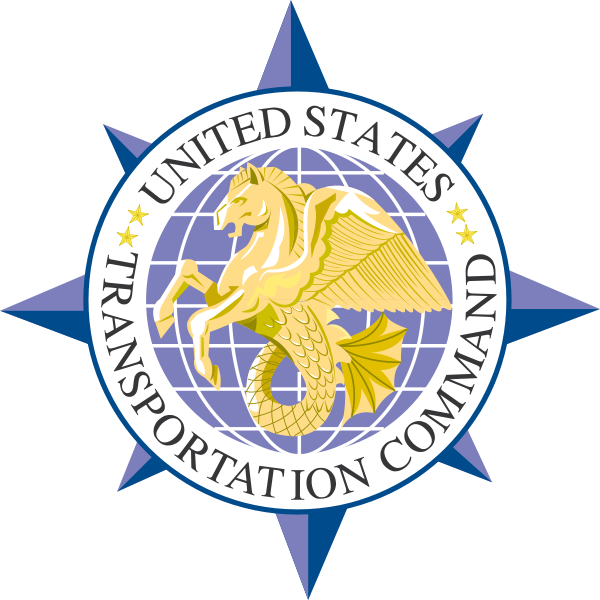 The award will provide for the modification of an existing contract to retrofit Shadow Unmanned Aircraft Systems Air Vehicles to the Tactical Common Data Link Configuration. Work will be performed in Hunt Valley, with an estimated completion date of Aug. 28, 2015. The bid was solicited through the Internet, with one bid received. The U.S. Army Contracting Command, Redstone Arsenal, Ala., is the contracting activity (W58RGZ-08-C-0023). Telephonics Corp., Farmingdale, N.Y., was awarded a $33,189,984 firm-fixed-price contract. The award will provide for the procurement of the Encrypted Aircraft Wireless Intercom System. Work location will be determined with each order, with an estimated completion date of Dec. 20, 2017. One bid was solicited, with one bid received. The U.S. Army Contracting Command, Redstone Arsenal, Ala., is the contracting activity (W58RGZ-13-D-0055). MIT, Cambridge, Mass., was awarded a $32,000,000 cost-sharing contract. The award will provide for the study, development and creation of equipment and material. Work will be performed in Cambridge, with an estimated completion date of Dec. 31, 2017. One bid was solicited, with one bid received. The U.S. Army Contracting Command, Research Triangle Park, N.C., is the contracting activity (W911NF-13-D-0001). Raytheon Co., Andover, Mass., was awarded a $30,293,284 cost-plus-fixed-fee contract. The award will provide for the Surveillance System Supply and Support for the Rapid Aerostat Deployment Configurations. Work will be performed in Andover, with an estimated completion date of Dec. 30, 2017. The bid was solicited through the Internet, with two bids received. The U.S. Army Space and Missile Defense Command, Huntsville, Ala., is the contracting activity (W9113M-13-C-0009). Boecore Inc., Colorado Springs, Colo., was awarded a $30,000,000 firm-fixed-price contract. The award will provide for the Command Information Management System Information Technology Services for the U.S. Army Space and Missile Defense Command. Work location will be determined with each order, with an estimated completion date of Jan. 31, 2018. The bid was solicited through the Internet, with 16 bids received. The U.S. Army Space and Missile Defense Command, Peterson Air Force Base, Colo., is the contracting activity (W91260-13-D-0001). Science Applications International Corp., McLean, Va., was awarded a $29,012,095 cost-plus-fixed-fee contract. The award will provide for the modification of an existing contract to procure Joint Logistics Integrator services for the Mine Resistant Ambush Protected Family of Vehicles. Work will be performed in Kuwait and Afghanistan, with an estimated completion date of May 21, 2013. One bid was solicited, with one bid received. The U.S. Army Contracting Command, Warren, Mich., is the contracting activity (W56HZV-12-C-0432). General Dynamics Information Technology, Fairfax, Va., was awarded a $28,354,887 cost-plus-fixed-fee contract. The award will provide for the warehouse operation services. Work will be performed in Kuwait, with an estimated completion date of Dec. 29, 2013. The bid was solicited through the Internet, with five bids received. The U.S. Army Contracting Command, Rock Island, Ill., is the contracting activity (W52P1J-11-C-0019). Science Application International Corp., McLean, Va., was awarded a $28,178,688 cost-plus-fixed-fee contract. The award will provide for the ammunition supply and theater storage services within Kuwait. Work will be performed in Kuwait, with an estimated completion date of Dec. 29, 2013. The bid was solicited through the Internet, with four bids received. The U.S. Army Contracting Command, Rock Island, Ill., is the contracting activity (W52P1J-11-C-0005). EADS North America Inc., Herndon, Va., was awarded a $26,298,512 firm-fixed-price contract. The award will provide for the modification of an existing contract to procure contractor logistics support for Mission Equipment Packages for the Light Utility Helicopter program. Work will be performed in Columbus, Miss., with an estimated completion date of June 30, 2016. One bid was solicited, with one bid received. The U.S. Army Contracting Command, Redstone Arsenal, Ala., is the contracting activity (W58RGZ-06-C-0194). Raytheon IDS, Andover, Mass., was awarded a $22,737,644 firm-fixed-price contract. The award will provide for the modification of an existing contract to procure PATRIOT Technical Refresh Spares in support Foreign Military Sales. Work will be performed in Andover, with an estimated completion date of Dec. 31, 2014. One bid was solicited, with one bid received. The U.S. Army Contracting Command, Redstone Arsenal, Ala., is the contracting activity (W31P4Q-09-G-0002). Raytheon Co., Andover, Mass., was awarded a $22,165,493 firm-fixed-price contract. The award will provide for the modification of an existing contract to procure PATRIOT Spare Parts in support of the Foreign Military Sales. Work will be performed in Andover, with an estimated completion date of Sept. 30, 2014. One bid was solicited, with one bid received. The U.S. Army Contracting Command, Redstone Arsenal, Ala., is the contracting activity (W31P4Q-09-G-0002). The Boeing Co., Mesa, Ariz., was awarded an $18,384,393 firm-fixed-price contract. The award will provide for the modification of an existing contract to procure Apache Block III Aircraft in support of Foreign Military Sales. Work will be performed in Mesa, with an estimated completion date of April 30, 2013. The bid was solicited through the Internet, with one bid received. The U.S. Army Contracting Command, Redstone Arsenal, Ala., is the contracting activity (W58RGZ-12-C-0089). Thales Raytheon Systems Co., Fullerton, Calif., was awarded an $18,549,840 firm-fixed-price contract. The award will provide for the modification of an existing contract to procure Sentinel radars and spares in support of Foreign Military Sales. Work will be performed in Fullerton, Calif., and Forest, Miss., with an estimated completion date of June 30, 2013. The bid was solicited through the Internet, with one bid received. The U.S. Army Contracting Command, Redstone Arsenal, Ala., is the contracting activity (W31P4Q-11-C-0301). Longbow L.L.C., Orlando, Fla., was awarded an $18,197,282 firm-fixed-price contract. The award will provide for the services in support of the Fire Control Radar Systems on Apache AH-64D Helicopters. Work will be performed in Orlando, with an estimated completion date of June 30, 2015. One bid was solicited, with one bid received. The U.S. Army Contracting Command, Redstone Arsenal, Ala., is the contracting activity (W58RGZ-13-C-0028). Marinex Construction Inc., Charleston, S.C., was awarded a $17,943,374 firm-fixed-price contract. The award will provide for the dredging services in support of Savannah and Brunswick Inner Harbor. Work will be performed in Savannah, Ga., with an estimated completion date of Dec. 27, 2013. One bid was solicited, with two bids received. The U.S. Army Corps of Engineers, Savannah, Ga., is the contracting activity (W912HN-13-C-0003). Lifecycle Construction Services L.L.C., Washington, D.C., was awarded a $16,500,000 firm-fixed-price contract. The award will provide for the various construction services. Work location will be determined with each order, with an estimated completion date of Jan. 1, 2016. The bid was solicited through the Internet, with 28 bids received. The U.S. Army Corps of Engineers, Savannah, Ga., is the contracting activity (W912HN-13-D-0003). STG Inc., Reston, Va., was awarded a $16,380,141 cost-plus-fixed-fee contract. The award will provide for the non-personal information technology services and support. Work will be performed in Sierra Vista, Ariz., with an estimated completion date of Dec. 31, 2013. The bid was solicited through the Internet, with one bid received. The U.S. Army Contracting Command, Fort Huachuca, Ariz., is the contracting activity (W91RUS-13-C-0003). Alaska Airlines, Seattle, Wash. (HTC711-13-D-C001); Atlas Air, Purchase, N.Y. (HTC711-13-D-C002); Evergreen International Airlines, INC., McMinnville, Ore. (HTC711-13-D-C012); Federal Express Corp., El Segundo, Calif. (HTC711-13-D-C003); Kalitta Air L.L.C., Leesburg, Va. (HTC711-13-D-C004); Miami Air International Inc., Miami, Fla. (HTC711-13-D-C005); National Air Cargo Inc., Ypsilanti, Mich. (HTC711-13-D-C006); Northern Air Cargo, Anchorage, Alaska (HTC711-13-D-C007); Omni Air International, Tulsa, Okla. (HTC711-13-D-C008); United Parcel Service Co., Louisville, Ky. (HTC711-13-D-C009); US Airways Inc., Tempe, Ariz. (HTC711-13-D-C010); and World Airways Inc., Peachtree City, Ga. (HTC711-13-D-C011) have received an indefinite-delivery/indefinite-quantity, fixed-price award for international commercial scheduled air cargo transportation services. Services encompass time definite, door-to-door transportation service for less than full pallet loads (non 463L palletized), including the movement of general, refrigerated, oversized, hazardous material (HAZMAT), and life and death cargo services for both domestic and international shipments. The performance period for the base year is Feb. 1, 2013 to Jan. 31, 2014, with four one year option periods from Feb. 1, 2014 to Jan. 31, 2018. This contract was a competitive acquisition. The estimated program value for this program has an overall five-year maximum ceiling program value of $694,038,028 with a contract guaranteed minimum award amount of $2,500 per awardees. The contracting activity is U.S. Transportation Command, Directorate of Acquisition, Scott Air Force Base, Ill.
Science Applications International Corp., McLean, Va., is being awarded an estimated $222,462,000 indefinite-delivery/indefinite-quantity, cost-plus-fixed-fee/cost-plus-incentive-fee/firm-fixed-price contract for technical support to provide systems engineering, integration, testing, large-scale fabrication, non-developmental item procurement, interim repair and maintenance services and training. Contract funds in the amount of $25,000 will be obligated at the time of award. The contract includes options which, if exercised, would bring the cumulative value of this contract to an estimated $667,388,000. Work will be performed in Charleston, S.C. (90 percent) and Norfolk, Va. (10 percent), and is expected to be completed by January 2014. If all options are exercised, work could continue until January 2016. Contract funds will not expire at the end of the current fiscal year. This contract was competitively procured by full and open competition via the Space and Naval Warfare Systems Center e-Commerce Central website and the Federal Business Opportunities website, with five offers received. The Space and Naval Warfare Systems Center Atlantic, Charleston, S.C., is the contracting activity (N65236-13-D-2800). Randolph Engineering Inc.*, Randolph, Mass., was issued a modification exercising the third option year on SPM2DE-10-D-7544. The modification is a fixed-price with economic-price-adjustment contract with a maximum $35,983,733. The contract covers the selection of a manufacturer for the Optical Electronic Catalog program which covers the 48 contiguous states (including the District of Columbia), Alaska, Hawaii, Europe, and the Pacific making available for purchase various optical frames and accessories using the Electronic Catalog system. Location of performance is in Massachusetts with a Jan. 21, 2013, performance completion date. Using military services are Army, Navy, Air Force, Marine Corps, and federal civilian agencies. There were four responses to the FedBizOPps solicitation. Type of appropriation is fiscal 2013 Defense Working Capital funds. The contracting activity is the Defense Logistics Agency Troop Support, Philadelphia, Pa.
Dispensers Optical Service Corp.*, Louisville, Ky., was issued a modification exercising the second option year on SPM2DE-11-D-7548. The modification is a fixed-price with economic-price adjustment, indefinite-delivery/indefinite-quantity type contract with a maximum $19,455,634 for various optical lenses. Location of performance is in Kentucky with a Jan. 12, 2013, performance completion date. Using military services are Army, Navy, Air Force, Marine Corps, and federal civilian agencies. There were five solicitations with three responses. Type of appropriation is fiscal 2013 Defense Working Capital funds. The contracting activity is the Defense Logistics Agency Troop Support, Philadelphia, Pa.
C.R. Bard Inc., Murray Hill, N.J., was issued a modification exercising the first option year on contract SPM2D0-11-D-0013/P00005. The modification is a fixed-price with economic-price adjustment, indefinite-delivery/indefinite-quantity contract with a maximum $46,673,903 for medical and surgical products. There are no other locations of performance. There were seventeen responses to the Web solicitation. Type of appropriation is fiscal 2013 Warstopper funds. The date of performance completion is Dec. 5, 2013. The contracting activity is the Defense Logistics Agency Troop Support, Philadelphia, Pa.
BAE Systems Information Solutions Inc., McLean, Va., was awarded a firm-fixed-price contract on Dec. 21, 2012, for XTS Enterprise Guard Solution (consisting of hardware, software and maintenance support) for e-mail, file transfer and Web services. The total obligated amount of this action is $3,200,000, funded by fiscal 2012 and fiscal 2013 procurement funds and fiscal 2012 research, development, testing and evaluation (RDT&E) funds. The total lifecycle value of the contract is $8,200,000. The period of performance is Jan. 1 through Dec. 31, 2013, with four option years. Performance will be at DISA, Lab Building, Fort George G. Meade, Md. The original solicitation was issued as an other than full and open competitive action pursuant to 10 U.S.C. 2304(c)(1) and one proposal was received. Solicitation HC1028-13-R-0001 was issued directly to the sole source contractor. 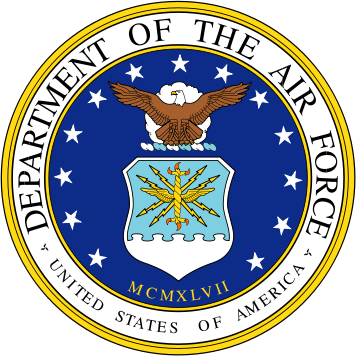 The Defense Information Technology Contracting Organization, Scott Air Force Base, Illinois, is the contracting activity (HC1028-13-C-0014). BAE Systems Norfolk Ship Repair, Norfolk, Va., was awarded on Dec. 28, 2012, a $50,180,546 undefinitized contract action as a modification to a previously awarded cost-plus-incentive-fee contract (N00024-10-C-4308) for the USS Mitscher (DDG 57) fiscal year 2013 extended drydocking selected restricted availability. Extended drydocking selected restricted availability includes the planning and execution of depot-level maintenance, alterations, and modifications that will update and improve the ship’s military and technical capabilities. Work will be performed in Norfolk, Va., and is expected to be completed by August 2013. Funding in the amount of $10,000,000 will be obligated at time of award. Contract funds in the amount of $10,000,000 will expire at the end of the current fiscal year. Norfolk Ship Support Activity, Norfolk, Va., is the contracting activity. Raytheon Co., Tucson, Ariz., is being awarded a $49,841,643 modification to previously awarded cost-plus-fixed-fee contract (N00024-12-C-5405) to exercise an option for Design Agent Engineering and technical support services for Phalanx, SeaRAM, and Land-based Phalanx Weapon Systems. Phalanx Close-In Weapon System is a fast-reaction terminal defense against low and high-flying, high-speed maneuvering anti-ship missile threats that have penetrated all other defenses. Work will be performed in Tucson, Ariz., and is expected to be completed by January 2014. Funding in the amount of $5,889,407 will be obligated at time of award. Contract funds in the amount of $250,000 will expire at the end of the current fiscal year. The Naval Sea Systems Command, Washington Navy Yard, D.C, is the contracting activity. Sikorsky Aircraft Corp., Stratford, Conn., was issued a modification on contract SPM4AX-12-D-9402. The modification is a firm-fixed-price, sole-source contract with a maximum $19,006,747 to supply spare parts to support numerous aircraft platforms. Location of performance is in Connecticut with a March 31, 2013 performance completion date. Using military services are Army, Navy, Air Force and Marine Corps. There was one solicitation with one response. Type of appropriation is fiscal 2013 Defense Working Capital funds. The contracting activity is the Defense Logistics Agency Aviation, Richmond, Va.
CAE USA Inc., Tampa, Fla., (FA3002-13-D-0006) is being awarded a $12,500,000 maximum ceiling, firm-fixed-price, indefinite-delivery, indefinite-quantity contract for C-130B-H simulator training. The location of the performance is Tampa Bay, Fla. Work is expected to be completed by Dec. 31, 2017. The contracting activity is Air Education Training Command CONS/LGCI, Randolph Air Force Base, Texas. Contract involves foreign military sales. MacAulay-Brown Inc., Dayton, Ohio, (FA0021-11-F-0005) is being awarded a $30,913,181 contract modification that exercises the first option year of the original contract. The option modification provides the same intelligence services to process, exploit and disseminate support services for Headquarters, Air Force Special Operations Command. The location of the performance is Hurlburt Field, Fla. Work is expected to be completed by Jan. 15, 2014. The contracting activity is AFSOC/A7KQ, Hulburt Field, Fla.
DTS Aviation Services, Fort Worth, Texas, (FA8106-05-C-0001) is being awarded a $15,467,175 contract modification for C-21A contractor logistics support. The location of the performance is Joint Base Andrews, Md. ; Scott Air Force Base, Ill.; Peterson Air Force Base, Colo.; Ramstein Air Base, Germany; Oklahoma City, Okla. and Battle Creek, Mich. Work is expected to be completed by Sep. 30, 2013. The contracting activity is AFLCMC/WLKLC, Tinker Air Force Base, Okla.
Lockheed Martin Space Systems Co., Sunnyvale, Calif., (FA8808-12-C-0010) is being awarded a $1,936,500,000 contract modification contract for Advanced Extremely High Vehicle (AEHF) Space Vehicle 5 and 6 Production Launch Operations. The location of the performance is Sunnyvale and El Segundo, Calif. Work is expected to be completed by Jan. 24, 2022. The contracting activity is SMC/PKJ, Los Angeles Air Force Base, Calif.